According to the description, the nest is located in Varakļāni county, Murmastiene parish. The description in the previous years differed a little bit. This morning (sunday 8) I posted some photo's about the early visit of the LSE on the general LSE topic. These posts are now on the 2017 topic. Could you please add them to this 2018 Topic? This is difficult because they were posted before this topic was made. They would sort in before the first post. 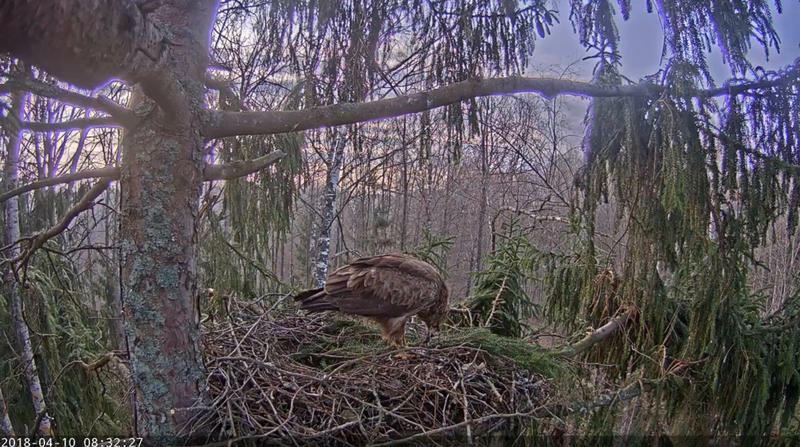 Guest has already posted about the previous visits. 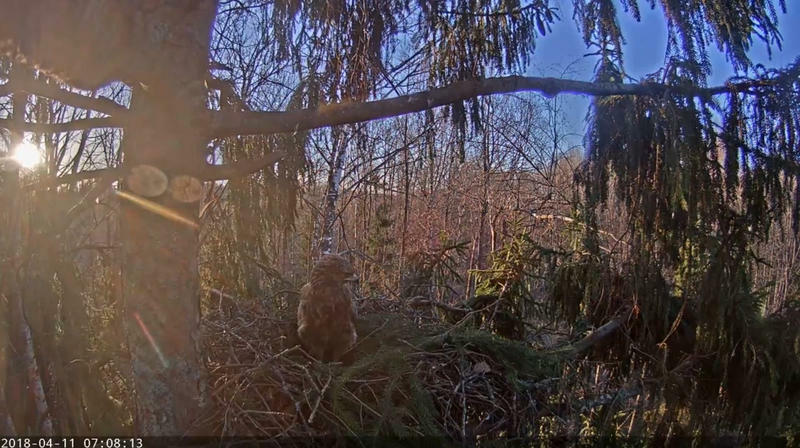 08:08 - The bird arrived with a frog. 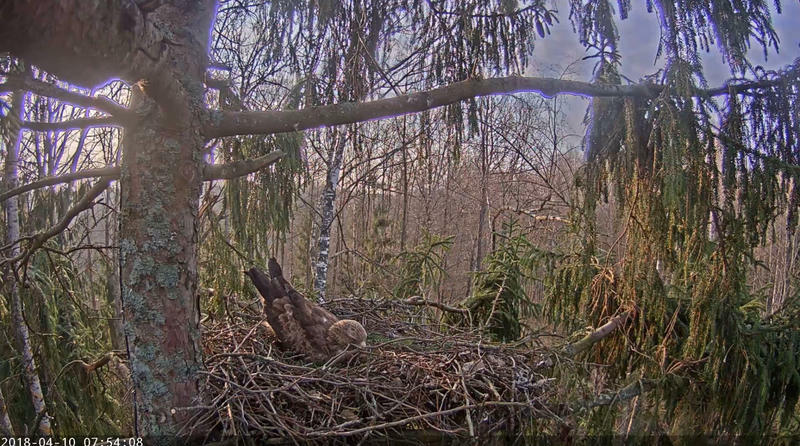 Called, andpusten it on the nest. Betins? 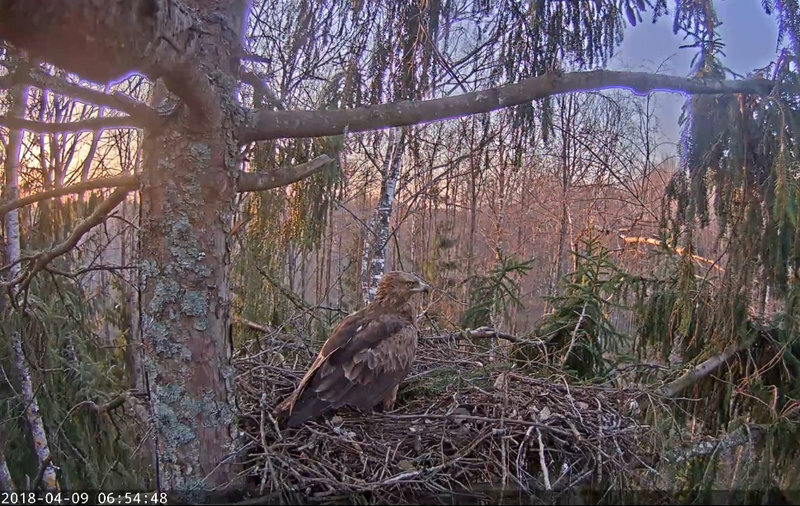 Betins stayed in the nest until 08:23, the food was left behind. 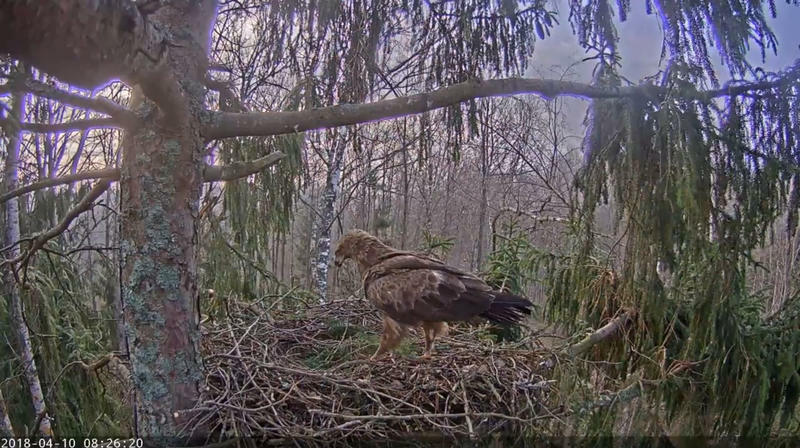 08:26 - The bird arrived with nest material. 08:32 - Ate the food and left. She was here even earlier. Thanks guest, I changed the 'he' into a 'she'..
Exellent quality pictures by the way! 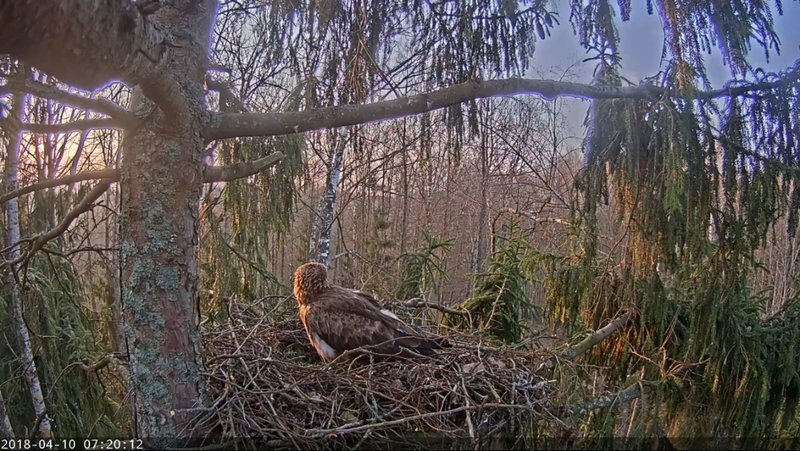 guest, thank you for the video of the Buzzard, and the information from the latvian forum! 07:08 - Betiņa in the early morning.